Central Parnell location, flexible interior - perfect venue for a memorable wedding. Our unique heritage, architectural space is one of the best venues in Auckland. Our beautiful space can be set up in a number of different ways to accommodate your wedding & reception. It's an old heritage textile building with high ceilings & the original cranes, gantries & brick wall, which make an amazing backdrop. Our mantra is to make every wedding held at our site, a memorable one. Our on-site events team are passionate about working with you to create that - we can manage everything for you or you can do it yourself. Our DIY package allows you to do everything yourself or we can organise everything for you - Furniture, Flowers, Catering, Drinks, Entertainment, Celebrant, Music, DJ. 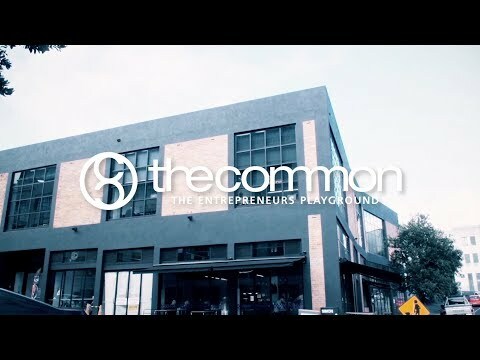 The Common offers a full-service venue experience including catering, AV & technical resources, entertainment and plenty of on-street Pay & Display (Free on weekends!) parking in surrounding streets. There’s also easy access to public transport and it’s a short Uber trip to the CBD.